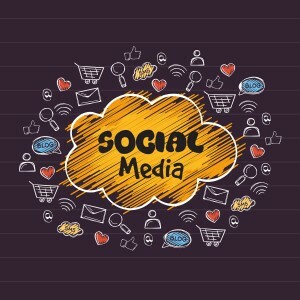 Social media is a great way for health centers to share their story, communicate their value, and connect with many different audiences–including patients, advocates, staff, lawmakers, the press, and members of the local community–on important issues. Unlike traditional media, social media gives organizations the ability to engage audiences with unfiltered messages that can foster relationships, reinforce the brands’ image and amplify reach. Social media offers a direct communication channel with a wide audience of patients, staff, peers, state and local representatives and more. Social media is a way to build and foster relationships through conversation. To build/reinforce health center brand and image. Social media is the best kind of advertising—free and word-of-mouth. Connect with people. Don’t be afraid to show some personality. Have conversations, be transparent, use humor and engage others as an individual. Post content of interest to your followers. There is a reason your followers follow you. They appreciate the information you share. It is of interest to them. To keep them coming back make sure to not to stray too far from the topics that brought them to your page in the first place. Post quality content. Make sure the information you post comes from reliable sources. Regularly post meaningful content and use hashtags related to the topics you cover. NACHC uses #FQHC, #CHCs and #CHCsInnovate. Sharing reliable information will establish your credibility as a resource of information. Engage. Be a part of the conversations happening on your social media pages. Follow similar and industry organizations and thought leaders. Like, share and comment on other organizations’ and peoples’ posts.